PAWTUCKET, R.I. — Aside from Ryan Rowland-Smith, a lefty, right-hander Jose De La Torre is the most easily identifiable member of the Pawtucket Red Sox bullpen. At 5-foot-10, he is the shortest of the club’s relievers. On the mound, he stands out due to his distinctive red glove. But more than anything, it’s his trademark slider that truly sets him apart. That breaking ball is largely responsible for De La Torre’s success in Pawtucket since last July. He joined the PawSox after being traded from the Indians and went 1-0 with a 2.45 ERA in his final 12 regular-season appearances of 2012. In the Governor’s Cup playoffs, he proved even more impressive, converting all three save opportunities and striking out seven in 3.2 scoreless innings. De La Torre wasn’t done. Winter ball in his native Puerto Rico led to an opportunity to represent his homeland in the World Baseball Classic this spring. He pitched in six games, including the championship loss to the Dominican Republic. De La Torre fanned his lone batter faced, Moises Sierra, in the final. Choosing to pitch in the WBC wasn’t easy. Doing so consumed time otherwise spent in major league spring training camp. Still, the experience made the decision worthwhile. “That was something else, that was a really good experience,” De La Torre says. “You’ve got ‘Puerto Rico’ on your chest, you’re wearing a jersey that says, ‘Puerto Rico.’ You’ve got pride, you’ve got passion in what you’re doing and you’re facing the best players from around the world. This April, De La Torre’s continued to validate that self-belief with the PawSox. In his first eight outings, he’s gone 1-0 with a 1.88 ERA, while holding International League batters to an .087 average (4-for-46). From April 14-April 28, he struck out eight in 8.2 hitless innings, inducing plenty of swings and misses with his slider. Whatever the grip, for whichever pitch, every time De La Torre reaches into his red glove to grab the baseball he is squeezing a second chance to live a dream. He signed his first pro contract as an undrafted free agent with the Milwaukee Brewers in 2004. But within a few months, De La Torre was released due to an off-the-field incident. He returned to Puerto Rico and went to work selling cell phones. Then he got a call. Texarkana represented the last stop before a re-start to De La Torre’s pro career. In June of ’06, he was signed by the New York Mets. By his fourth full season, De La Torre climbed to Triple-A, despite missing all of 2008 after Tommy John elbow surgery. He went 3-2 with a 2.98 ERA in 36 appearances for Buffalo in 2010. 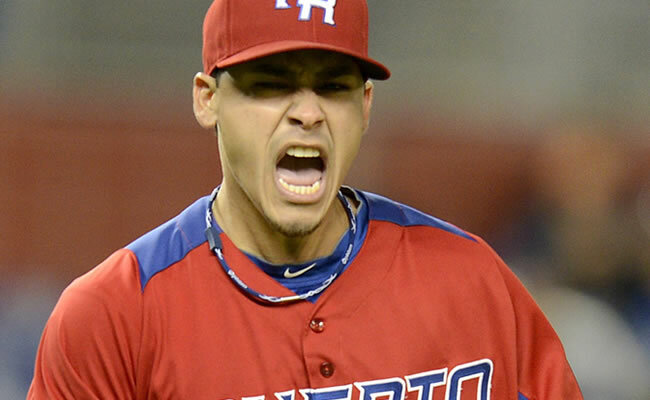 A shoulder impingement, however, hampered De La Torre in 2011, when he missed a month. Despite a 0.89 ERA and just 14 hits allowed in 20.1 innings pitched, he became a free agent and went unsigned well into the offseason. 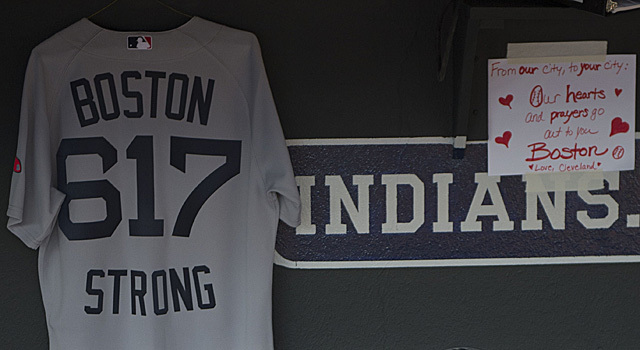 Eventually, the Indians picked him up shortly before spring training. Four months into the season, Cleveland traded him to Boston for Brett Lillibridge. And today the red-gloved De La Torre, who once sold phones after squandering a shot at the pros, is a another call away from the Red Sox. BUFFALO, N.Y. — For the first time all afternoon, veteran David Bush found himself in a bind. He had retired the first 13 Pawtucket Red Sox he faced in the opener of Thursday’s doubleheader in Buffalo. But then the Bisons’ righthander allowed a single by Bryce Brentz before he walked Jeremy Hazelbaker on four pitches. First and second. One out. And time out, for a visit to the mound by Buffalo’s pitching coach Bob Stanley. At 58, Stanley is in his 14th season tutoring young and — as evidenced by the 33-year-old Bush — more seasoned pitchers in the minors. 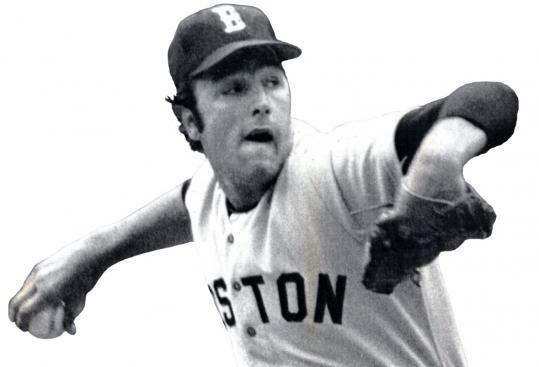 He is 36 years removed from his major league debut for the 1977 Red Sox, as a New England native who bypassed Triple-A going from Bristol to Boston. Thirteen seasons later, Stanley retired with 115 wins, a then franchise-record 132 saves and a reputation for owning one of the best sinkers in baseball. His conversation with Bush was brief. But almost as if osmosis, Bush’s first pitch after Stanley returned to the dugout induced a bouncer to third baseman Andy LaRoche. Around the horn the ball went; 5-to-4-to-3. If you’re scoring at home. Once again, the Steamer managed to get a ground ball. “I’ve been pretty hot with that lately,” Stanley joked in the midst of a conversation that will air as part of Saturday’s PawSox Insider at 2 p.m. on the PawSox Radio Network. Following is an excerpt from that interview, as Stanley recalls his promotion to the majors after pitching at Double-A and his various roles in the major leagues. BUFFALO, N.Y. — As the first major leaguer to wear a hyphen on his back, Ryan Rowland-Smith believes he was also one of baseball’s first players to have a Twitter handle. If so, he owes the second distinction to the first. Though with each, he’s caught more than a fair share of grief. By the summer of his third season with Seattle in 2009, Rowland-Smith turned the uniqueness of the punctuation bridging his two last names into a connection to Mariner fans. Within a few weeks, more than 1,600 were following @hyphen18. Today they number nearly 12,000. But when the good-natured Rowland-Smith started Tweeting, he often heard good-natured chirping from teammates. Back then, unlike today, few inside a baseball clubhouse were willing to step outside into the Twitterverse. Recently, Rowland-Smith, who was already a blogger at the time, laughingly recalled his earliest days on Twitter from the home dugout bench of Pawtucket’s McCoy Stadium. He also chuckled over the commentary — usually delivered in less than original lines — that he still hears today, thanks to his hyphen. “Fans ask me why I took my wife’s last name,” jokes the lefty reliever, whose bride is known by neither Rowland nor Smith (more on that in a moment). Truth is, as Rowland-Smith only discovered about four years ago, the hyphen’s history stems from his great grandfather. Robert Baron Rowland Smith was born in October 1925, the son of Rowland and Dorothy Smith. In a 2012 obituary published in The Sydney Morning Herald, he was described as a one-time “woolgrower and processor” who went from lobbying on behalf of Australia’s merino wool industry to legislating as a politician. Eventually, in 1988, Smith was appointed his country’s minister for sport, recreation and racing. Bob Rowland Smith was many other things. Among them, according to his great grandson, a Red Sox fan. He was so revered, his family added to its surname, adopting Rowland to go with Smith. Thus, future generations are and will be known as Rowland-Smith. But that’s just a small part of the past for the PawSox pitcher. We’re told by beer commercials that the world’s most interesting man speaks with a Spanish flair. Listening to Rowland-Smith, we hear that perhaps most interesting player in Pawtucket has the accent of an Aussie. The family tree. His great grandfather was a well-known public servant Down Under. His mother, Julie Smith, was a physical education teacher who, according to a 2008 Seattle Times article, constantly shuttled her kids to sporting events. One of those children, daughter Rhiannon, became a pro surfer (“Probably the best athlete in the family,” says Ryan). Their father, Rob, is a celebrity trainer renown in Australia as The Sandhill Warrior and recognized in the United States from MTV’s Surf Girls reality show. Rob’s clients have included surfing great Kelly Slater. Wife Amanda Aardsma. Rowland-Smith is married to the older sister of his ex-Mariner bullpen mate David Aardsma, who briefly pitched for the PawSox (two appearances) in 2008. Amanda is an actress whose credits include appearances on CSI: Crime Scene Investigation and Judging Amy. According to Ryan, she recently landed a role on the soap opera Days Of Our Lives. Laila The Boxer. Since his time in Seattle, Rowland-Smith has been an advocate and spokesman for humane treatment of animals, particularly dogs. He and Amanda adopted a boxer, Laila. And like her owners, Laila has her own Twitter handle (@lailatheboxer). No kidding. International intrigue. After growing up along Australia’s Gold Coast, Rowland-Smith has represented his country in the Olympics, as a silver medalist at Athens in 2004, and the World Baseball Classic. And oh yeh, his pro baseball career. 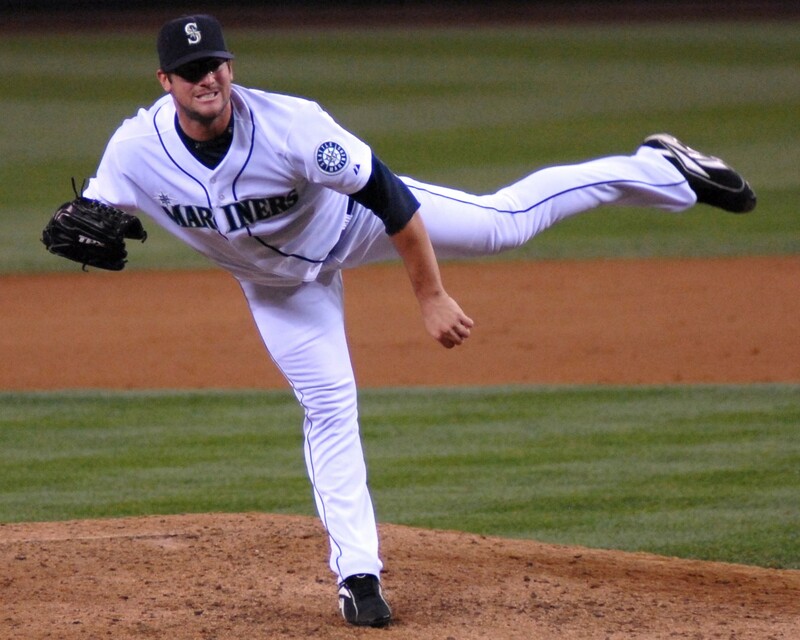 In four years as a Mariner, Rowland-Smith went from a reliable reliever to a struggling starter. In 2008, as a 25-year old, he was 5-3 with a 3.42 ERA and two saves in 47 appearances, including a dozen starts. Two years later, he endured a 1-10 record and 6.75 ERA in 27 games, all but seven while starting. In the aftermath, Rowland-Smith has gone from Triple-A Oklahoma City (2-10 in 2011) to Iowa (3-6 in 2012) to Pawtucket, where this relative Renaissance Man has proved resurgent. Since joining the PawSox, he is 2-0 with a 0.93 ERA and .129 opponents’ average. Rowland-Smith has allowed four hits in 9.2 innings pitched, limiting left-handed batters to an .083 mark (1-for-12). Should he keep it up, of course, the hypen will make its way to The Hub. 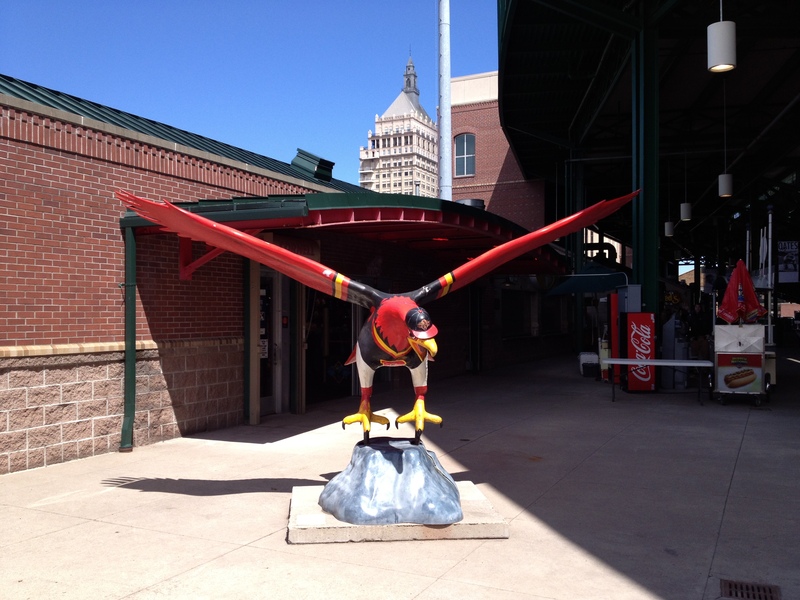 ROCHESTER, N.Y. — The roll call of all-time Rochester Red Wings includes many of the most significant names in baseball history. Headlining the ‘who’s who’ to pass through the so-called ‘Flower City’ near the shores of Lake Ontario en route to Cooperstown, which sits about 175 miles to the east, at the foot of Lake Otsego, are Bob Gibson and Stan Musial, Jim Palmer and Cal Ripken Jr. Lest one forget Johnny Mize or Eddie Murray. Managerial great Walter Alston played here as an up-and-coming Cardinal, well before another ex-Redbird named Weaver argued with umpires here before becoming the ‘Earl of Baltimore.’ It’s also where Joe Altobelli, himself a World Series-winning skipper, Steve Bilko and Luke Easter played their way into, but never out of, the hearts of locals. A young Jack Buck even re-created games over the area’s airwaves. The city itself once stood tall and proud, as home of American pillars like Eastman Kodak, Bausch & Lomb and Xerox. Rochester is also the birthplace of French’s Mustard, which was first slathered on a hot dog at the St. Louis World’s Fair in 1904. Six decades later, the city built the Midtown Plaza, the nation’s first urban indoor mall. About the same time, another company rooted in Rochester, Wegmans, began expanding its grocery stores to surrounding cities. Today its incomparable super stores — just ask anyone who’s been — serve as destination shopping attractions stretching from Northern Virginia to New England. Just last month, a Boston Magazine blog hailed the imminent arrival of ‘The Cult of Wegmans’ in The Hub. Sadly, though, while Wegmans is vibrant, the once powerful industries of Rochester are mostly dormant. Or, as I discovered this morning upon referencing Midtown Plaza to a hotel clerk, non-existent. I was looking for a pharmacy. She told me the closest one was five minutes away; by car. Surrounding communities are as attractive as ever. The stately mansions along East Avenue are grand reminders of the city’s once robust economy and far-reaching influence. Schools like the University of Rochester and R.I.T. maintain their standing as some of the country’s finest. But while buildings like the Kodak Tower still scrape the sky, their tenants are shells of their former selves. And yet there are two things that will always drive people in these parts toward downtown streets: arts and sports. Especially to see the Amerks of the American Hockey League; the Rhinos of the United Soccer Leagues; and, of course, the Red Wings of the International League. Fixtures at Frontier Field include someone known as ‘Accordion Man,’ as well as the unmistakable organist Fred Costello. The former greets fans near one of the ballpark gates, squeezing out standards like ‘Happy Birthday’ and ‘Take Me Out To The Ballgame.’ The latter was the 2011 recipient of the Spirit Of The International League Award and is in his 37th season entertaining fans from his seat behind a keyboard. Costello is also the answer to an oft-repeated trivia question here: Who’s the only man to play for both the Red Wings and the Amerks? Each night when Costello performs ‘God Bless America’ the club stations signers in the on-deck areas. With the National Technical Institute for the Deaf located nearby at R.I.T., the Red Wings are especially attentive to a large number of hearing-impaired fans. 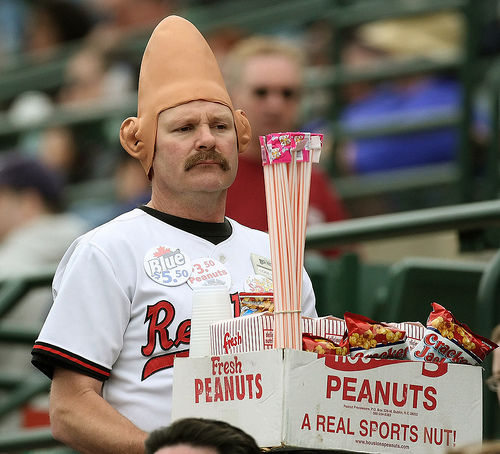 And then there’s ‘Conehead.’ He’s a vendor, usually toting adult beverages through the stands, who long ago adopted the look of the Dan Akroyd character from Saturday Night Live. His name is Thomas Gibot, a resident of the Town of Townawanda, and he is ubiquitous at Western New York sporting events. He first donned his cone head at a Buffalo Bills game. He’s since worn it while vending at Amerks, Red Wings, Buffalo Bisons and Buffalo Sabres contests. 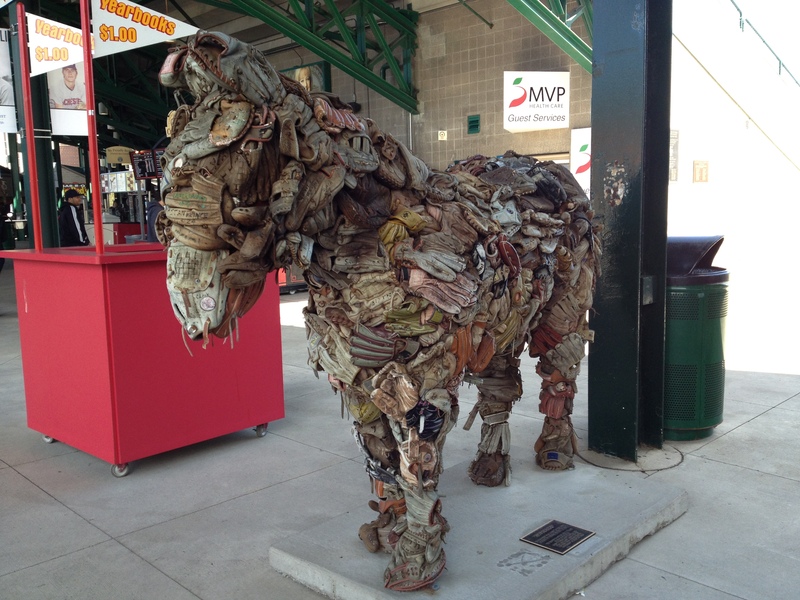 Word has it, his daughter also vends — soft drinks in her case — at Frontier Field. Among Conehead’s standard announcements: If you get a warm beer from me, you drink it for free. That’s the Conehead’s guarantee! 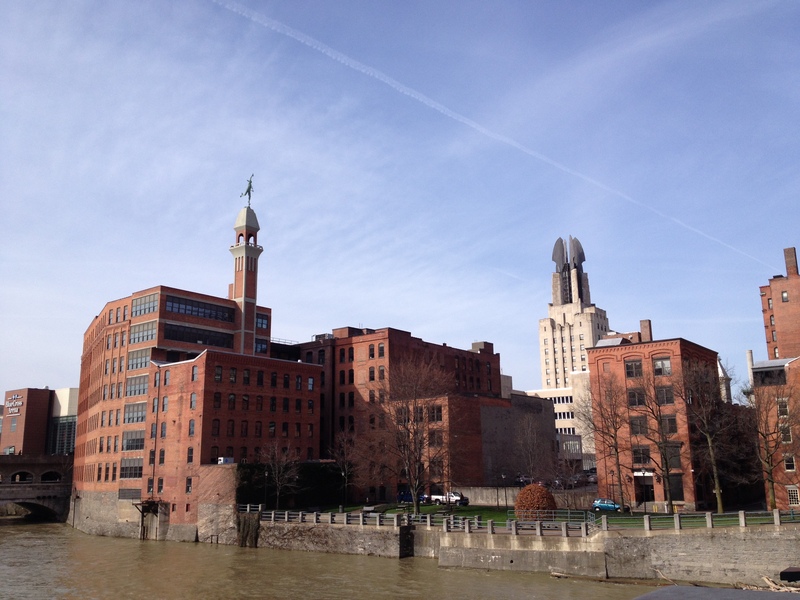 Downtown Rochester, on the Genesee River. Present-day Red Wings are reminded of their predecessors on the way to their clubhouse. At the heart of the hide, inside the main gate of Frontier Field. 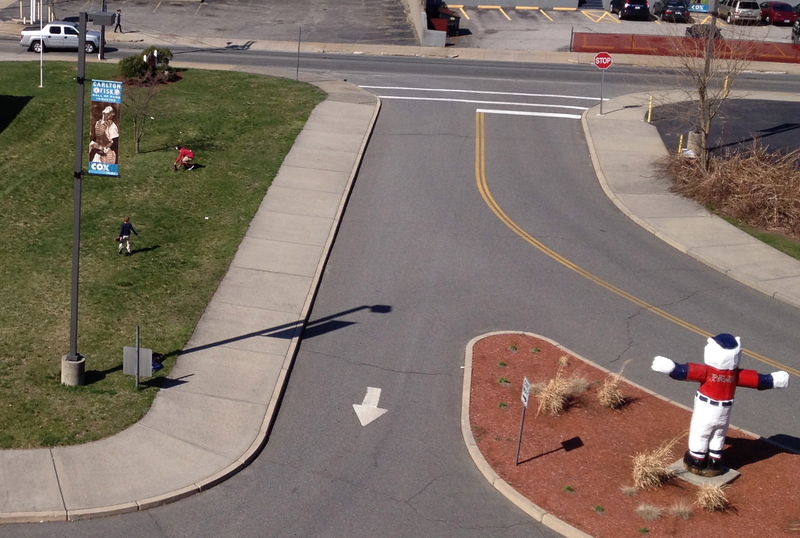 Like so many cities of its generation, Rochester’s streets are adorned by distinct architecture. The iconic Kodak Tower overlooks the Red Wings’ icon. 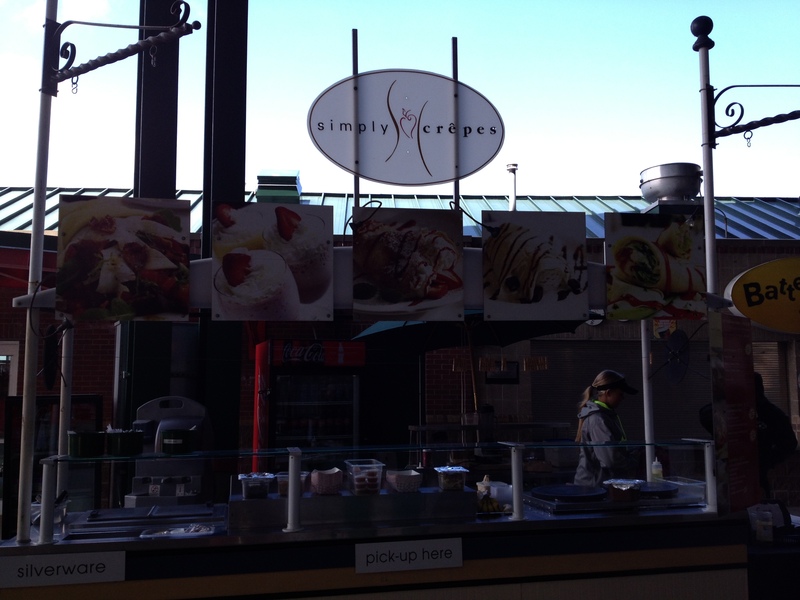 Buy me some peanuts and Cracker Jack…and crepes? 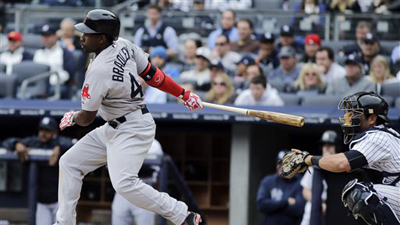 A Few Minutes With Jackie Bradley Jr.
ROCHESTER, N.Y. — After joining the PawSox in Rochester on Friday, Jackie Bradley Jr. reflected on his experience with the Boston Red Sox in the aftermath of the Marathon bombings. As Bradley spoke, his fiancee was ‘sheltered in place’ at the couple’s condominium in the Copley Square area. He described the emotional swing from a dramatic Patriots’ Day win over Tampa Bay to the stunningly tragic news out of Boston that reached the Red Sox as they traveled to Cleveland. 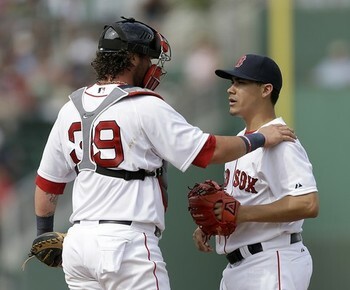 In addition, Bradley discussed the purpose with which the Red Sox played the ensuing series against the Indians. When asked what specifics of his game he needed to address with Pawtucket to ensure a return to Boston, Bradley cautioned that “it’s only April;” his confidence seemingly unshaken by the 3-for-31 start to his major league career. He then explained how he remains level-headed, despite his literal ups and downs, to and from Boston to Pawtucket. Bradley also touched on what to most observers has been a surprisingly strong start to the season for the Red Sox. Don’t like the weather in Rochester? …wait an hour, it will change! 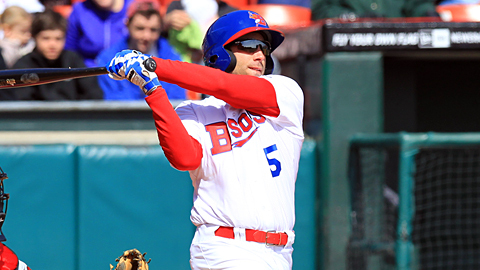 Buffalo’s Jim Negrych hit for the cycle Thursday (photo courtesy of milb.com). 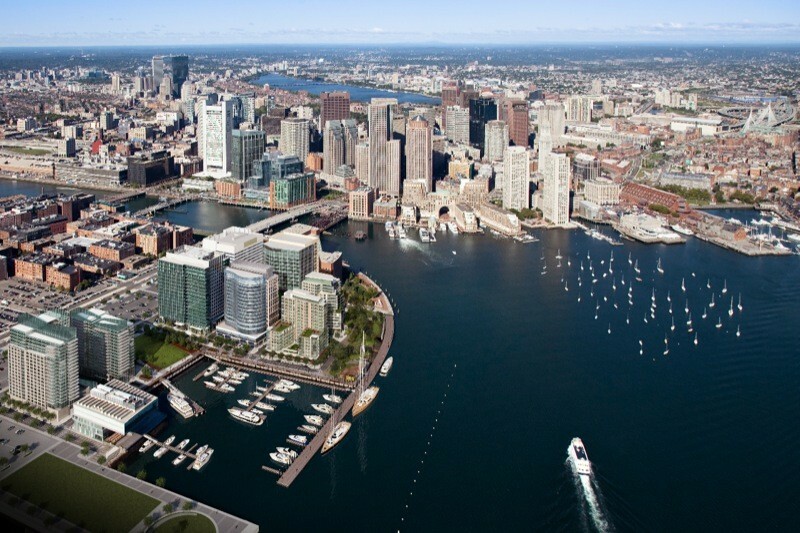 ROCHESTER, N.Y. — The television went off at 2 a.m., as CNN reporters were describing the surreal on the streets of Cambridge, at MIT, and Watertown. Three hours later, I was awake, reaching for my phone and the nearby TV remote. A stream of Twitter updates prompted a return to the live coverage of what seems so totally unfathomable. Yet, is so tragically real. I’ve been here since, in my hotel room in downtown Rochester, on the first morning of a week-plus road trip, breaking away only to grab a coffee and breakfast sandwich at a cafe next door. All while still scrolling through the latest news on the screen in the palm of my hand. But now there’s need for a true diversion, temporary as it is on this Thursday that follows last Monday. For me, that’s where sports come in. I’ve been reading about the streaking Red Sox and their sweep of the Indians, as well as the pending arrival of Jackie Bradley Jr. here in Western New York. More on that later, when it’s time to go to the ballpark. 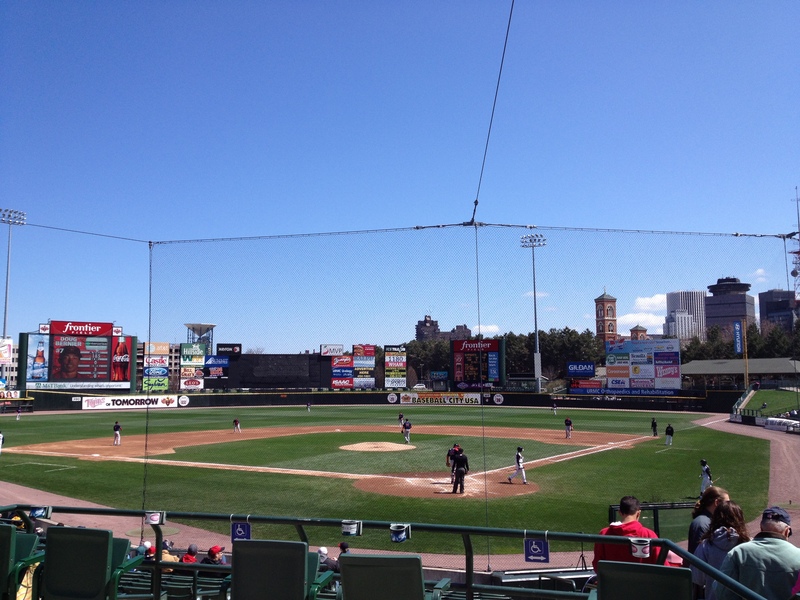 At this moment, a little after 10 a.m., I want to travel about 90 miles to the east and rewind the clock to yesterday afternoon, when the Syracuse Chiefs hosted the Buffalo Bisons. There was, reportedly, a 19-m.p.h. 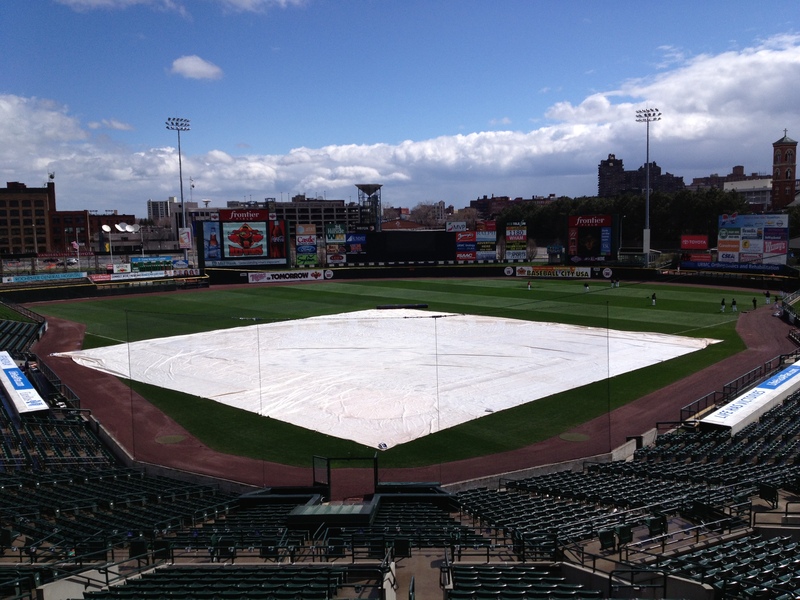 wind blowing out toward left field of NBT Bank Stadium. The game started with back-to-back triples off Syracuse starter Tanner Roark. It was only the beginning. One of those hits, among the 43 overall in the game, was by Jim Negrych, who also singled, doubled and homered…by the end of the 6th inning! Both runners scored, as did eight more, before Roark left with two outs in the top of the 4th. When that inning ended, Roark’s ERA was 8.59. When the game ended, Roark’s record was 1-2, the final score was 27-9. The Bisons scored five times in two separate innings, the 1st and 4th, before they plated 10 in the 7th. Their 27 runs set a modern franchise record, as did the 18-run margin of victory. They batted around four times. Moises Sierra had six hits on Thursday afternoon (milb.com). For context, Buffalo’s football team, the Bills, managed to score 27 points in just four of their final 12 games last season. Okay, so maybe that’s not so surprising. But what is remarkable is the fact that only two of the Bisons’ 29 hits belonged to ex-PawSox slugger Mauro Gomez, the 2012 International League most valuable player. 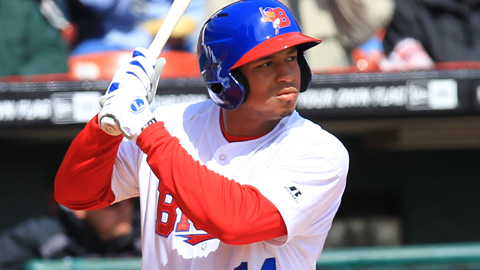 A half dozen of them came off the bat of Moises Sierra, the third Buffalo player in 77 years to collect six hits. Luis Jimenez had five hits and eight RBI, while Ryan Langerhans homered twice and drove in six runs. Jimenez and Langerhans each scored five runs, equaling a franchise standard. Strange to think, much less write, Josh Thole’s four hits and four RBI pale in comparison (for more, please click here for the recap on the Bisons official website). It all left Chiefs manager Tony Beasley virtually speechless. “I don’t know what to say,” Beasley told Syracuse’s Post-Standard. The radio-TV voice of the Chiefs Jason Benetti witnessed all 379 pitches in 3 hours, 41 minutes. His take? And with apologies to Beasley, Benetti and the rest of the Chiefs, it was truly needed for a break in the breaking news. Now back to the unscheduled programming from a place I love, home of people I love. Brandon Snyder loves hitting in New England, whether at McCoy Stadium or Fenway Park. PAWTUCKET, R.I. — Shortly after his final fist bump with a teammate and before his first words of an on-camera interview Wednesday night, Brandon Snyder shared a sentiment reflected by the smile on his face, and the statistics on his resume. “I love hitting here,” Snyder volunteered, following a double, home run and 3 RBI in a 6-1 win for the PawSox over the Lehigh Valley Iron Pigs at Pawtucket’s McCoy Stadium. Granted, his first 12 appearances of 2013, Snyder’s hit everywhere, as evidenced by a .359 average, 3 HR, 11 RBI and an OPS (combined on-base and slugging percentages) of 1.162. But in the half of those contests at home, his average increases to .455 (7-for-15) and his OPS improves to 1.356, including a .556 OBP. Snyder was signed by the Red Sox less than a week before Opening Day, after being released, per his request, by the Texas Rangers in late March. Last season he batted .277-3-9 in 40 games for Texas. But he was non-tendered by the Rangers last fall, before signing a minor-league contract with the organization. After failing to make the big-league club this spring training, Snyder asked for an out. The Rangers obliged. The Red Sox, who were about to lose the 2012 International League most valuable player Mauro Gomez as a waiver-claim by the Blue Jays, picked Snyder up. Whether aware of it or not — and it’s likely the number crunchers in Boston’s front office knew full well — the guy they got has always prospered at Pawtucket. Originally an Oriole, Snyder was drafted by Baltimore in the first round, as the 13th overall pick, in 2005. From 2009-11, he appeared here as a member of the Norfolk Tides in three series, totaling 11 games. During those visits, Snyder went 15-for-47 (.319) with 3 HR and 6 RBI. He also went 2-for-3 with an RBI in a “Futures at Fenway” matchup. In comparison, his overall batting average for the Tides in that span was .256. Like in Norfolk, Snyder wears No. 29 for the PawSox. As with many athletes, the number is personal. In Snyder’s case, it’s more so than most. It’s an ongoing tribute to his late grandfather, Roger Snyder, a World War II veteran who served in the Army’s 29th Infantry Division. Brandon, whose middle name is Roger, bears another homage on his left arm: a large tattoo incorporating his grandfather’s dog tags is etched across his biceps and triceps. For Lehigh Valley’s Pete Orr, his current number is a bit out of character. Though he has usually donned No. 4, in honor of his hockey Hall-of-Fame namesake, no relation, Orr is now No. 8 for the Iron Pigs. Pete hails from Newmarket, Ontario, a town that sits to the north of Toronto and south of Parry Sound, hometown of the man the one-time Boston Bruins coach Harry Sinden called “the perfect hockey player.” The former has been known by No. 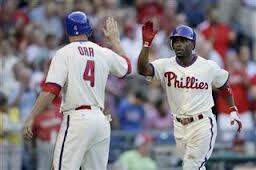 4 in various major league stints with the Braves, Nationals and Phillies. Asked last week in Allentown about the switch this season, Orr laughed. The baseball-playing Orr has never met the hockey great, though he does have a piece of autographed memorabilia at home. He has something else that belongs to Bobby: coincidentally, they share the same middle name, Gordon. Newmarket is the birthplace of Jim Carrey –the comedian, not the ex-goalie. It’s also the hometown of the late Bruins great Herb Cain. Yet, despite his affinity for Bobby and geographical connection to Cain, make no mistake; Orr is a fan of the Maple Leafs. He was reminded that Toronto’s hockey team has been good to Boston’s in recent years (see the Phil Kessel trade). “Yeah, we gave them (Tyler) Seguin and (Dougie) Hamilton,” he said, collecting baseballs after completing a recent batting practice. Finishing, Orr shook his head, as if to give a nod to the B’s on their fleecing of the Leafs. PAWTUCKET, R.I. — I can’t tell you how many times I’ve gone to a ballgame. But I know, and will never forget, the one day in my lifetime that I drove to the ballpark sensing no reason whatsoever to smile. It was today, despite the bright sunshine that welcomed me at the end of my commute from the outskirts of Boston to Pawtucket. I walked into McCoy Stadium, toting my rolling briefcase, as well as the emotions all of us feel the day after Patriots’ Day 2013 — deep sadness and regret, raw anger and resolve, even pride and gratitude in and for the good who still outnumber the cowardly evil in our world. The news reports and press conferences I’d been listening to all morning continued rewinding in my head. They were still playing, as if on a loop, when I dropped my bag off at the press box, and headed toward the front office downstairs. To get there, I walked through the stands, high above the left-field line. About the time I passed the third-base bag, I glanced left and saw two youngsters on a small plot of grass near the main entrance to the parking lot. One of the kids was throwing. The other receiving. 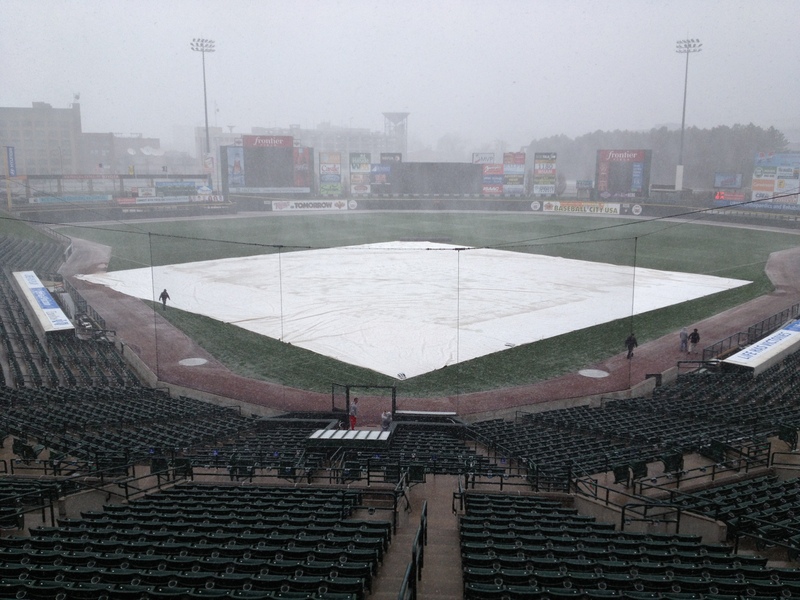 Waiting for the PawSox to play, they were having a catch. I stopped, pulled my phone from a pocket and snapped a photo. Watching them made me think of my own childhood, and the simple, sheer pleasure of tossing a ball back and forth. And of innocence, before it is lost, or taken away. It was enough to make me smile. PAWTUCKET, R.I. — Little more than an hour from a scheduled game between the PawSox and Lehigh Valley Iron Pigs, I’m sitting in a booth overlooking a ball field, thinking of loved ones in and near Boston at this moment. And praying for the casualties of today’s explosions and their families; heartbroken and outraged.